This version of poutine is covered in Le Cellier’s Cheddar Cheese Soup, which is indulgent and packed with bacon (recipe here!). 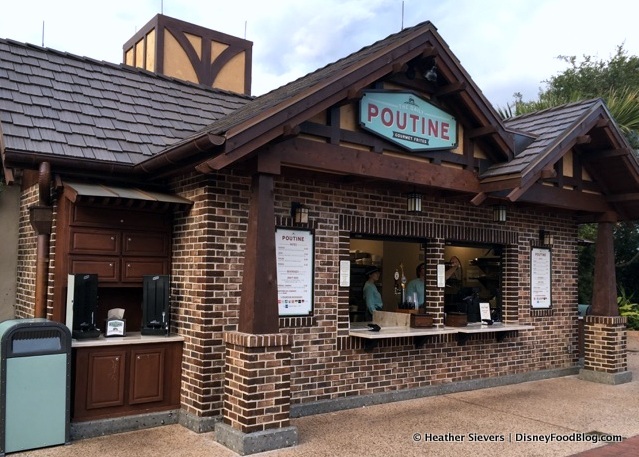 And now guests can grab a plate of Cheddar Cheese Poutine (or a cup of the soup by itself) without a coveted ADR! Cheddar Cheese Poutine also has the traditional cheese curds and some golden French fries. Oui, please! Nomad Lounge has become pretty well known for its adventurous drinks and eats, so we were stoked to discover Kobe Beef Brisket Poutine on the Lounge’s small plates menu! This poutine is super classy, y’all. The bed of thick-cut fries is covered in Kobe-style beef brisket, house-made mozzarella, and savory pan sauce. Plus there’s extra cheese sauce on the bottom of the bowl! This poutine is a must! 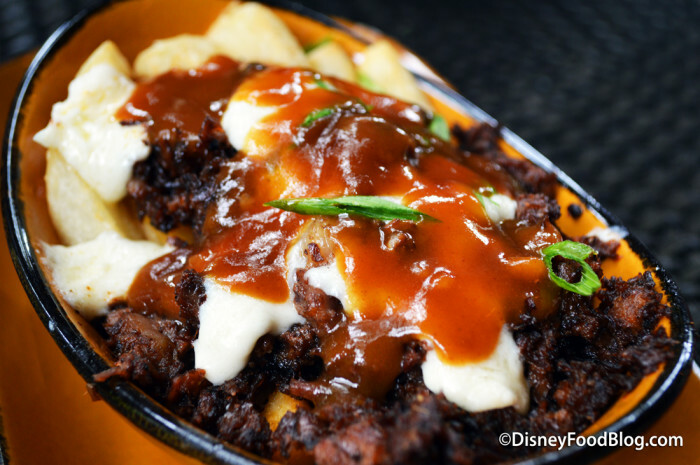 Alas, the Kobe Beef Brisket Poutine is currently off the Nomad Lounge Small Bites Menu — but we realllllly hope it comes back! You know a snack has made it to the upper echelons when it has a spot named after it — and thus we have The Daily Poutine! The best part about the menu at The Daily Poutine is that there are always several varieties to try. 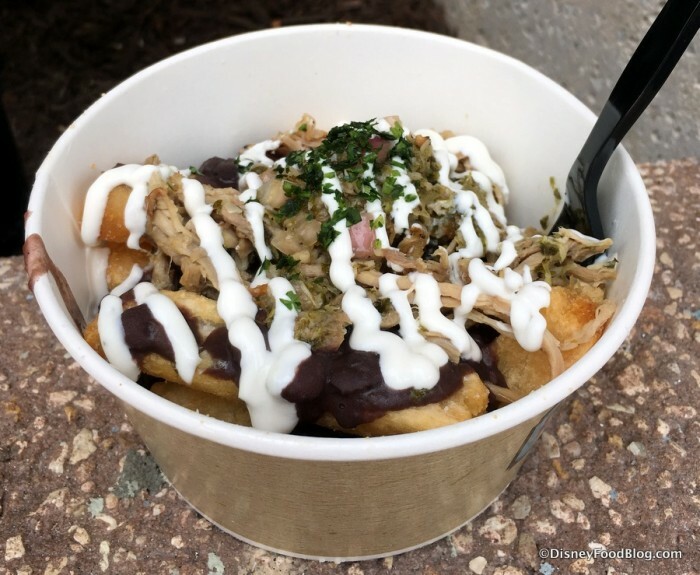 Latin Poutine has fried yucca, black beans, pulled pork, and queso fresco. 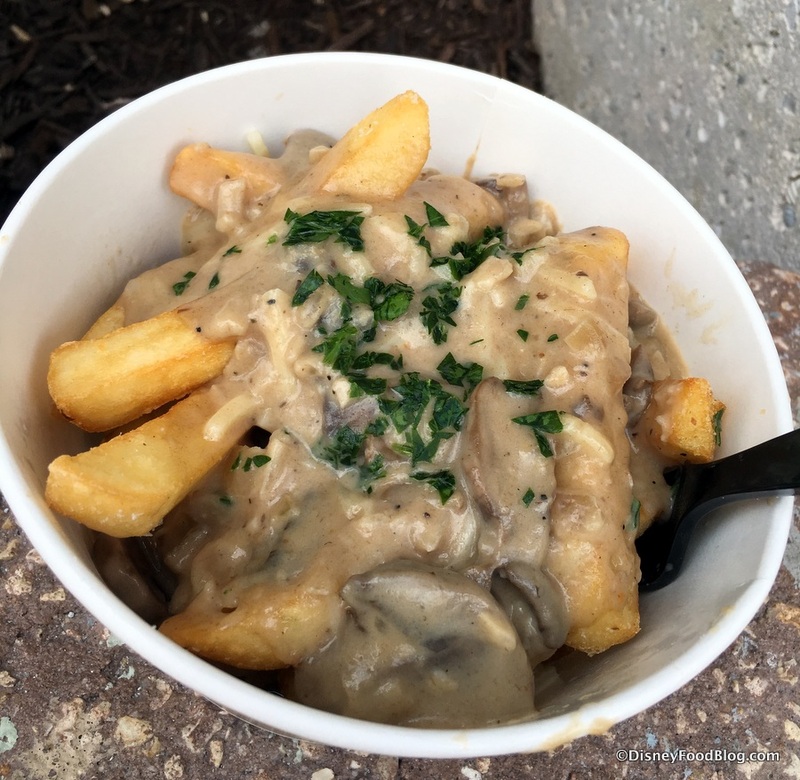 French Poutine is super fancy, with mushroom cream sauce and Gruyere cheese! Ooh, la la! 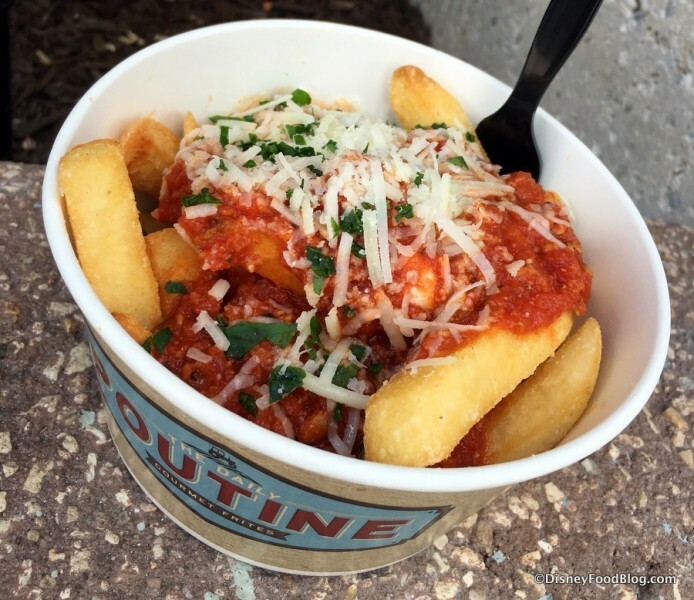 The last everyday poutine option at The Daily Poutine is Italian: mozzarella cheese and Bolognese sauce! 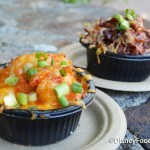 Annnnnnd The Daily Poutine also features specialty versions that change from time to time! Cheeseburger Poutine was totally delicious, featuring fried cheese curds, and pickles!! 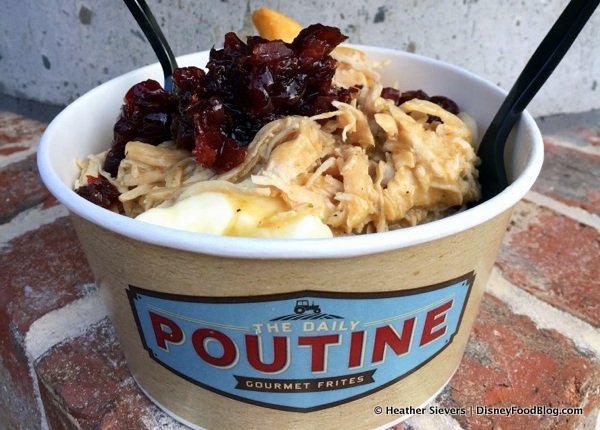 And the Holiday Turkey Poutine was Thanksgiving in a handy bowl! 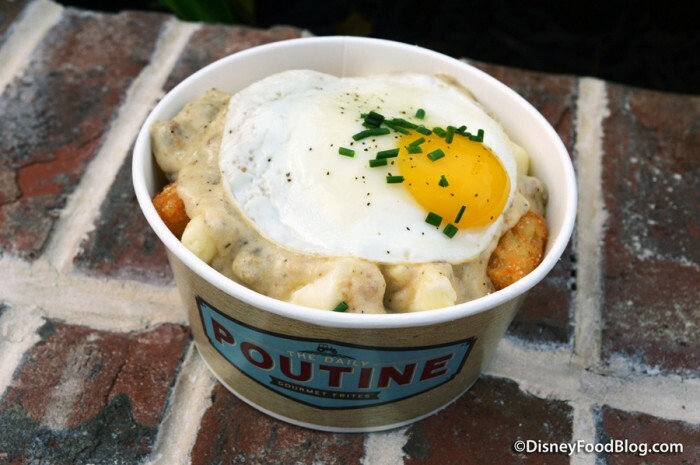 And lest breakfast feel left out, we’ve also seen All Day Breakfast Poutine with tater tots! Sausage gravy and a sunny side up egg? Worth getting up for! 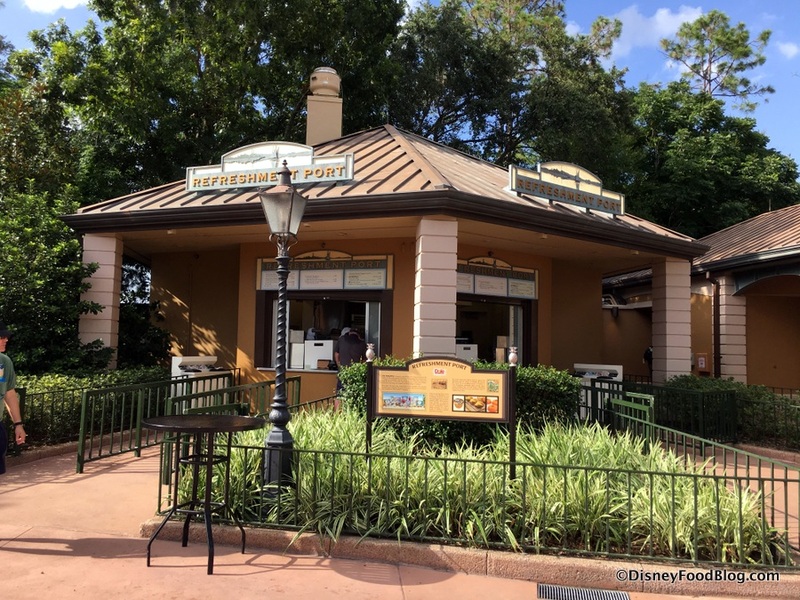 The Daily Poutine is the mecca of Disney World poutine. 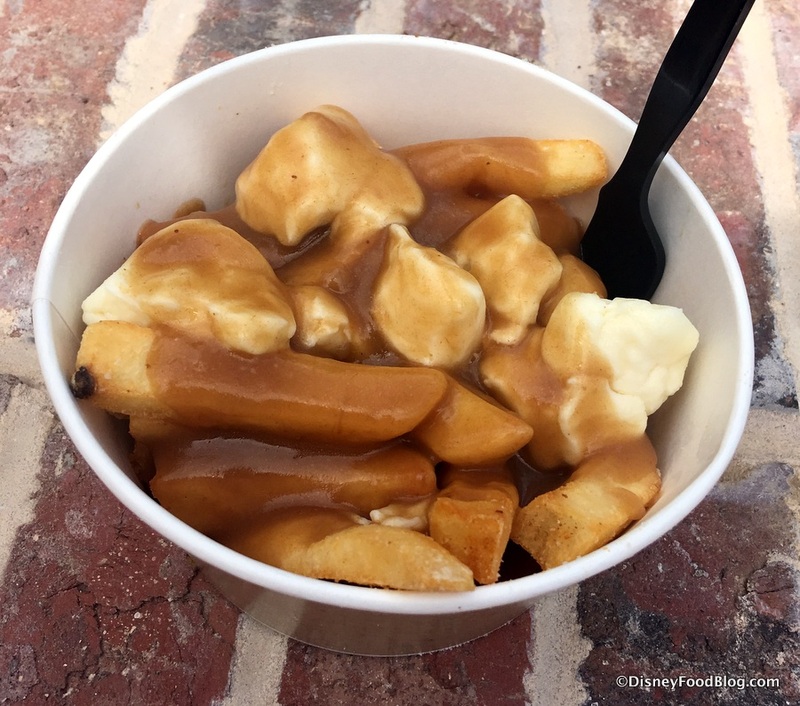 The Secret Menu Poutine is a huge portion of fries under cheese curds and dark brown gravy. So this is classic poutine served in the funnest way possible! There’s s whole process for asking for the secret menu at All Star Movies, so you’ll definitely want to check out the DFB Guide’s YouTube video sharing this secret menu — it’s totally awesome. Beaches and Cream Soda Shop is one of our favorite spots to grab a burger and some ice cream (you’ll find at Beach Club on the walkway near Stormalong Bay! ), and it also happens to be home to Sock Hop Fries. 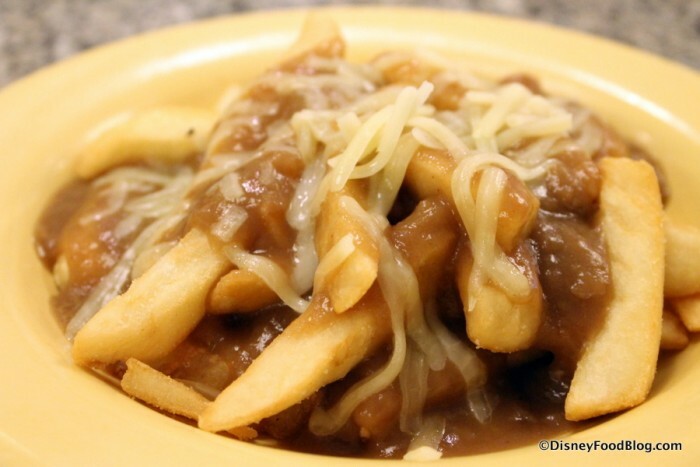 Now we admit, Sock Hop Fries (also called Gravy Fries!) 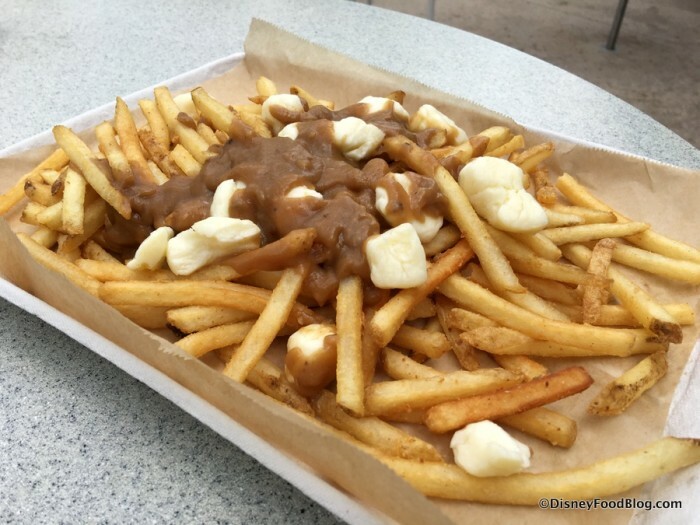 aren’t technically poutine, but we’ve already seen that Disney takes plenty of leeway when creating these plates of French fry goodness. 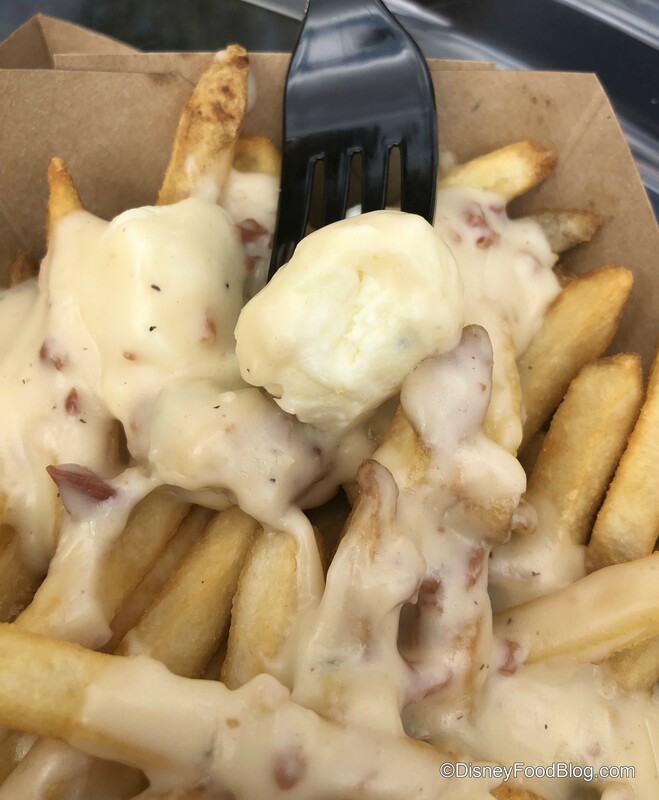 So we’ll give Sock Hop Fries a pass because they have all the flavors of classic poutine: brown gravy and white cheddar shredded cheese (instead of curds). They’re so messy and delicious. We love them. 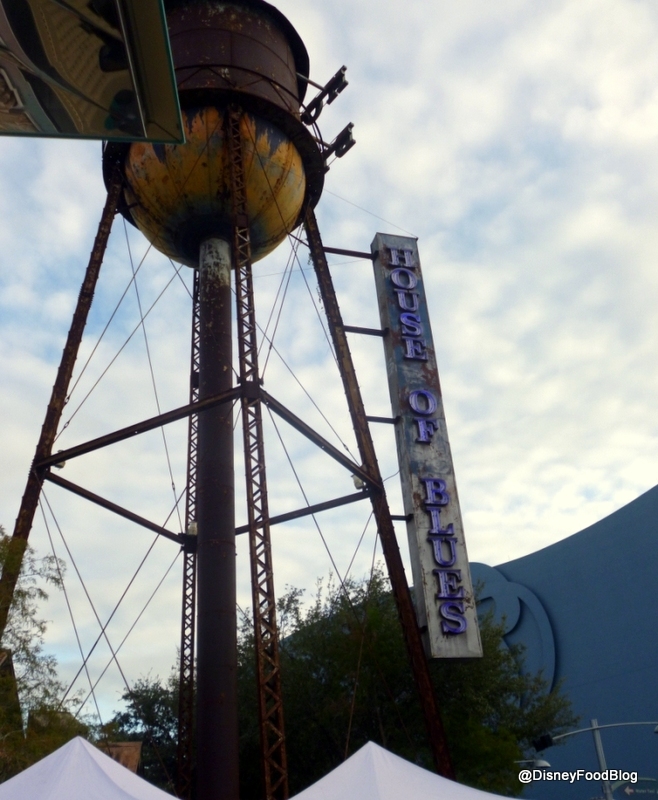 In Disney Springs’ West Side, guests can munch on Carolina Mess at the House of Blues. 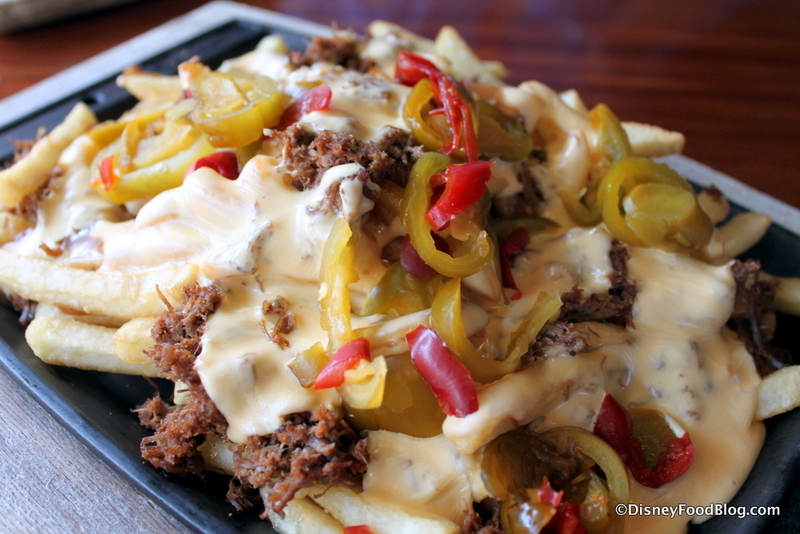 Carolina Mess is a plate of fries covered in pulled pork, jalapenos, cheese, and brown gravy. Quite the combo. It’s a southern take on the Canadian classic! 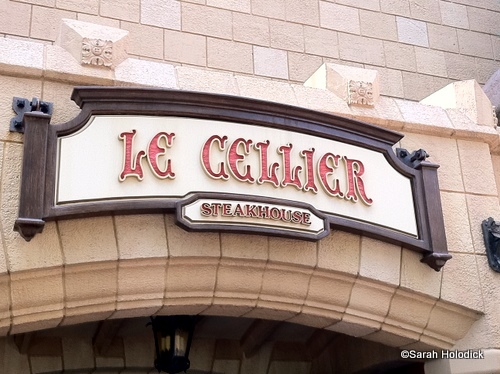 You can’t talk about poutine without talking about Le Cellier, the signature table service residing in the Canada Pavilion in Epcot’s World Showcase. 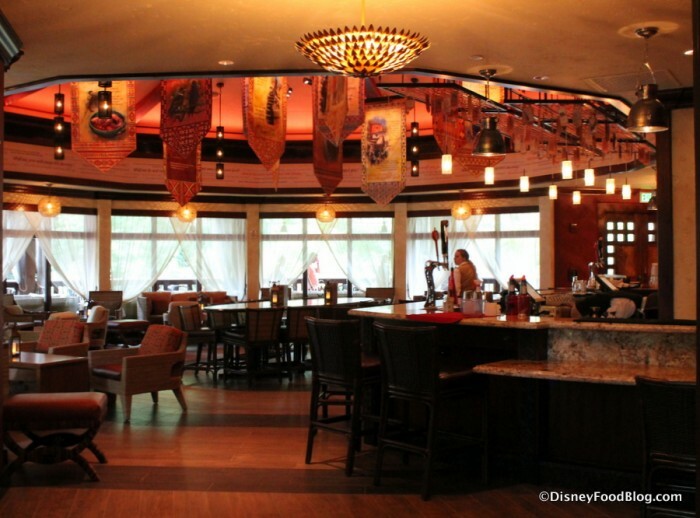 This place represents the birthplace of poutine — and Le Cellier has some tasty options on its menu. Montreal Poutine is fresh-cut French fries, Montreal-smoked brisket, French onion gravy, Gruyère cheese, pickled vegetable slaw, and mustard-beer sauce. Yes,that’s a lot of good stuff in one pan. But it’s just a stellar combination of flavors. 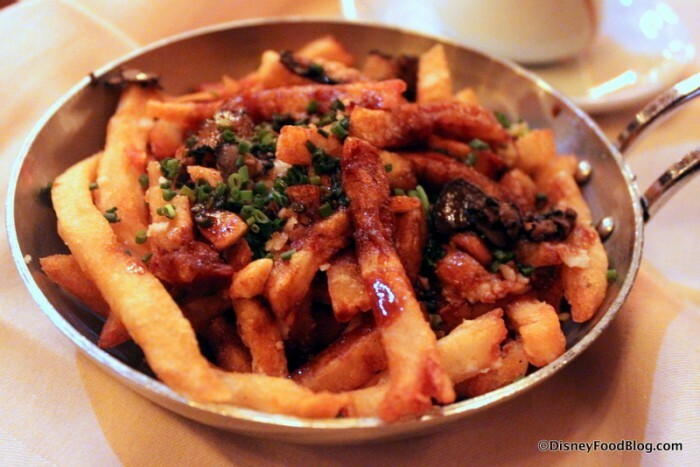 The Signature Poutine is French fries, Canadian cheddar, truffles, red wine reduction. There’s not technically a brown sauce. Or cheese curds. 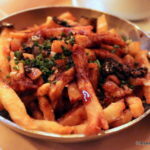 But with ingredients like truffles and red wine reduction, this is about as fancy a poutine as you can find. And it truly IS delicious. Paradiso 37 is our last stop on this tour of Walt Disney World poutine, and this version pretty crazy. 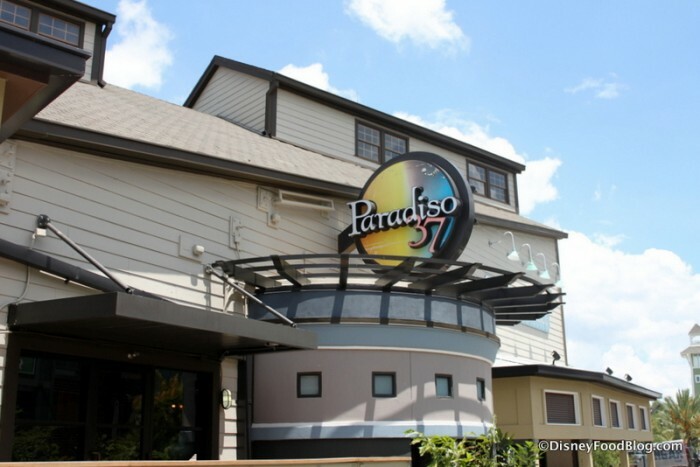 FYI — there are much better restaurants than Paradiso 37 when it comes to entrees and full meals, but they do a great job with appetizers and drinks. And this particular dish caught us totally off guard. The Canadian Poutine is 100% not at all Canadian, and is basically more of a “nacho fries with gravy” than anything else. But that’s cool, cause it’s SO GOOD. Topping the fries are cheese sauce, roasted garlic gravy, braised beef, and cherry peppers. It’s a terrific combination of flavors in the spirit of poutine — and the briny peppers add a little something unique. Plus it’s heavy and built for two, so this one is party ready. So…yeah. 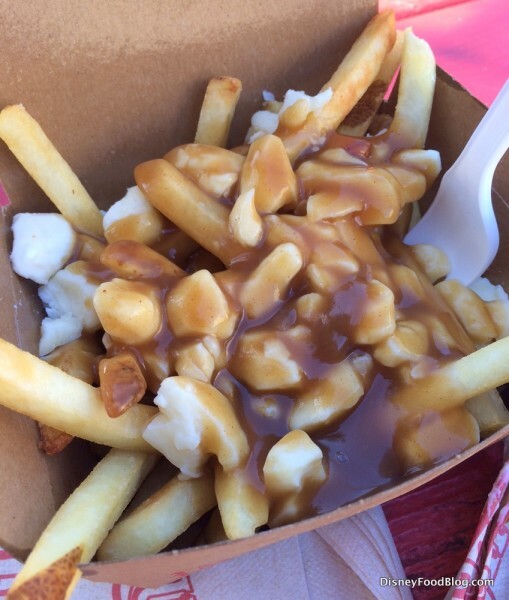 Basically none of these are authentic Canadian poutine. 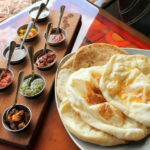 But in our world, good food is good food! What are you waiting for? 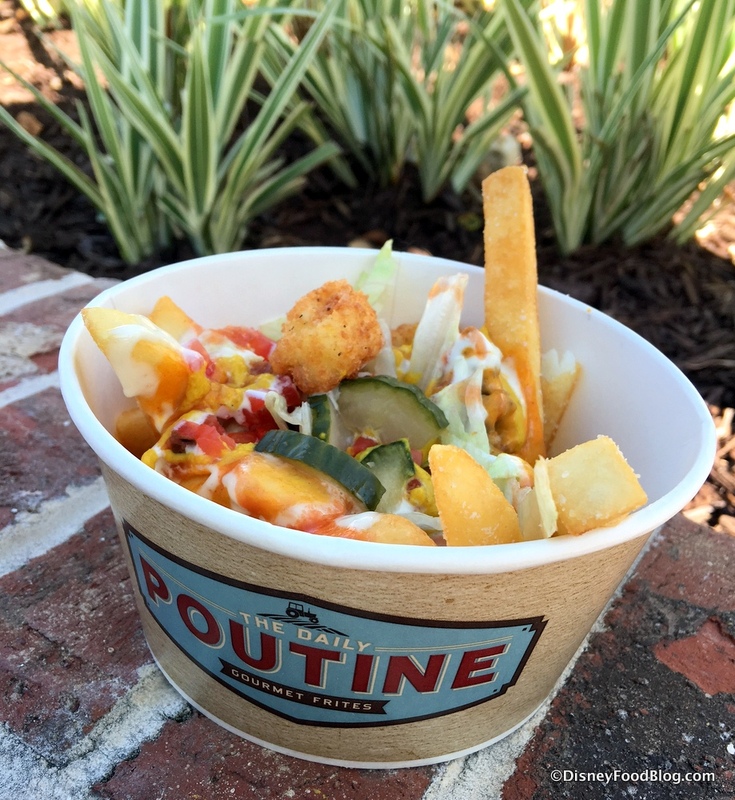 Get your “poutine” on! 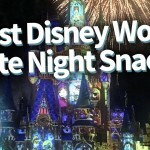 Want MORE Disney World Loaded Fries? We’ve got a BUNCH for you here! 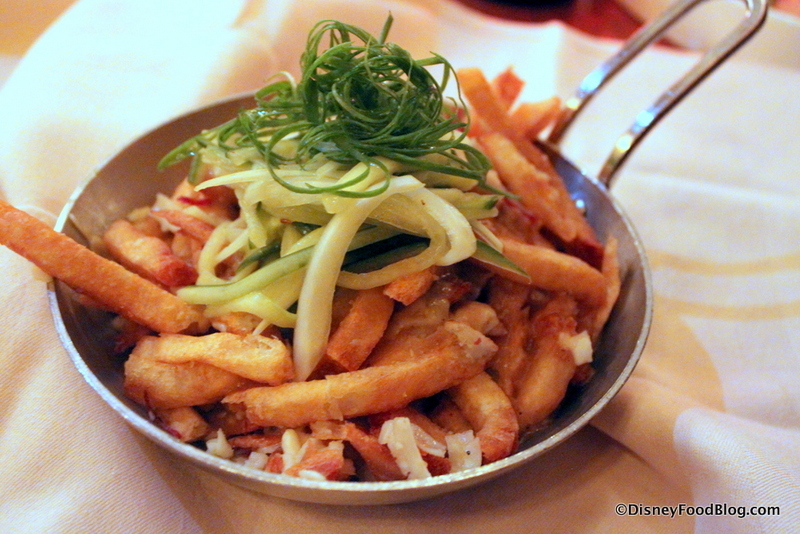 Check out our video of amazing French Fry dishes in Disney World below! This isn’t limited to Poutine — it includes plenty of other loaded fry must-eats! Where do you get your poutine? Let us know in the comments! The poutine from Nomad Lounge was not on the menu when I visited in early March :(. I checked when I returned from my trip and saw that it was removed from the official menu as well. So sad, I was pumped this try this one! I like one thing on my crispy fries….salt! If I’m in a gourmet mood, then I add some plastic cheese! OMG!!!!!!! I have been eating french fries and gravy since I was a kid. People have always treated me like was crazy and now I have a name for it! Yea!!!!!! Me too Natalie!! For over 40 years I have always asked for a side of gravy to dip my fries. 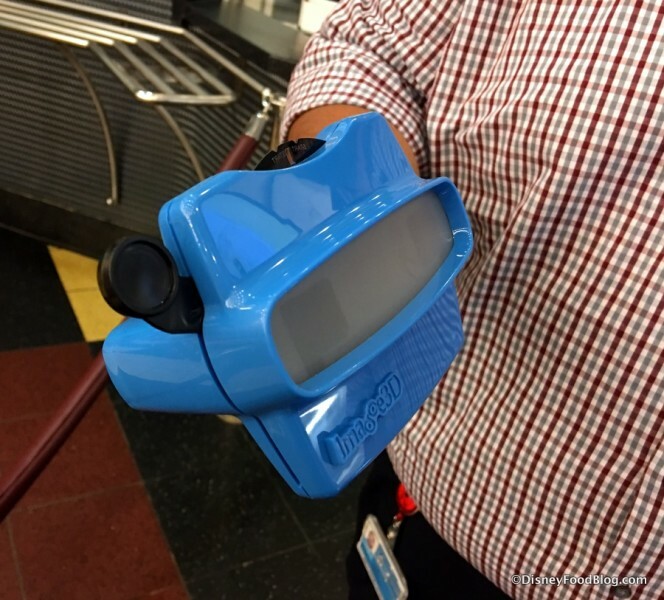 I have gotten some of the strangest looks over the years but don’t knock it until you try it!! Happy to know I’m not the only crazy one out there! 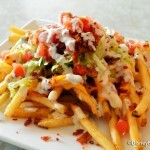 There’s galaxy loaded fries on the mobile secret order menu at Cosmic Ray’s. Bacon, cheese sauce, garlic ranch sauce, chives, and topped with spicy Doritos dust. Delicious with pickled jalapeños from the toppings bar and buffalo sauce!